Nestled in one of Austin’s fastest growing areas is our newest master planned community located right in the heart of Buda, Texas. New construction in this Austin area offers multiple styles of new homes to suit most any family’s lifestyle. Great shopping, restaurants, entertainment and recreation are all minutes from your new home. Only 15 minutes from downtown Austin and 15 minutes from beautiful San Marcos, Sunfield is strategically located on FM 2001 and I-35. 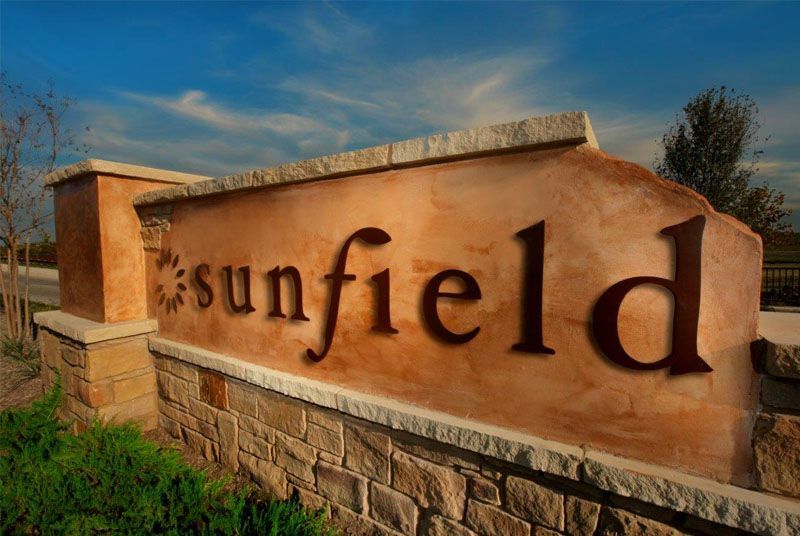 With a small town feel yet minutes away from the big city, Sunfield has it all. You and your family will enjoy the wonderful amenities showcased within this master planned community. 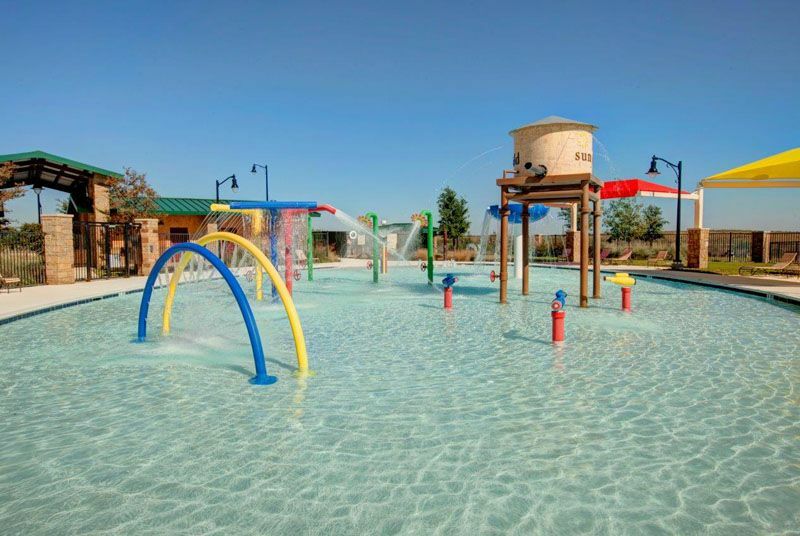 Offering a splash pad pool, hiking and bike trails, covered pavilion, and an open field for sports, there will always be something fun adults and the kids alike. So if you are searching for a great value with a small town feel accompanied by magnificent architectural detail, then Sunfield is the place you should call home. 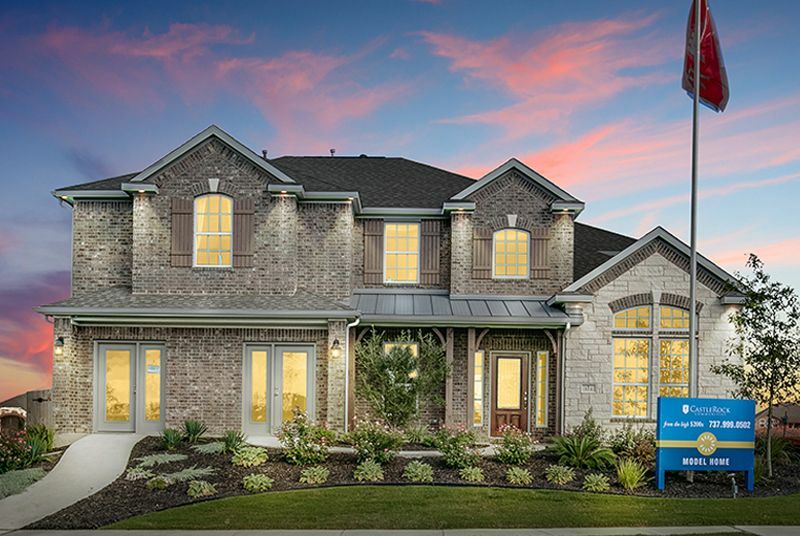 Sunfield Gold Model | 311 Tangerine Dr.
From Austin: I-35 South, Take Exit for FM 2001, Make a left onto FM 2001, Straight onto White Wing Trail at the 3 way stop sign, Left at Sunbright Blvd, Left at Razzmatazz Trail, Model Homes on the Right. From San Marcos: I-35 North, Take Exit for FM 2001, Make a right onto FM 2001, Straight onto White Wing Trail at the 3 way stop sign, Left at Sunbright Blvd, Left at Razzmatazz Trail, Model Homes on the Right.